I set up our Social Media Company Altrincham HQ 5 years ago to help hyper local businesses in Altrincham (a few miles South of Stockport) and little did I know at the time I’d spend a huge amount of my time travelling across the whole of the North West with work. Even though the majority of my trips away are business rather than pleasure I like to soak up a little of the local atmosphere in each town and it’s with this thought in mind that I arrive at this guest blog. “How To Make The Most Of Your Trip To Stockport Using Social Media”. This is what I generally do to make the most of the visit to any new town … from Wakefield to Blackburn and to Stockport. In virtually every town in the UK there are local community supporters and residents who are happy to offer their pearls of wisdom about the local offering and Stockport is no different. Twitter is a great leveller for independent business and often by asking the general public you get a lot more of an honest answer than what you will see in local media publications who’s coverage is dictated by which businesses have a PR or Advertising budget. 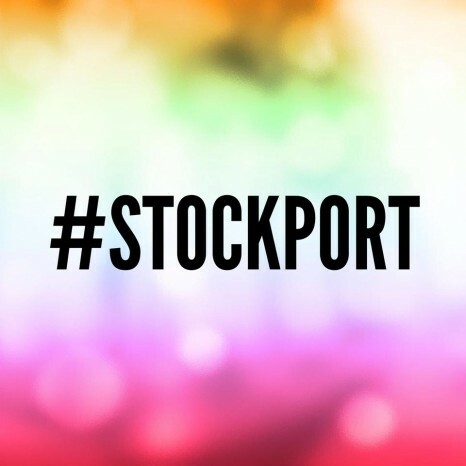 The Stockport hashtag is an active one so you can also get an overview of what is happening in any one day (but like any town – if you check it on day when the local football team are playing the feed is likely to be swamped with football banter). After doing my initial research, like many reading this – I head to TripAdvisor to check what the wider public opinions of the suggestions on Twitter are. There are many criticisms of TripAdvisor, but it’s hard to deny that nearly 3500 people have chosen to review Accommodation and nearly 11,500 have reviewed restaurants and eateries in the area. It really is the most democratic option available to do your research and gives you a good indication of where to eat out during your stay. The Hotel and Restaurant pages now have a Q&A option on each page so you can ask the page owner and previous guests specific questions about the business. As a vegetarian this is a particularly good route to go down to check they can accommodate those with very specific tastes. Followerwonk is one of these “Top Secret” tools in the world of Social Media and essentially allows you to search twitter bios. As in the above photo you can see how easy it is to search Twitter for local restaurants in Stockport. By default the list is ranked by the number of followers so you can get a good idea of whether the account is proactive and proficient with their social media activity. So what finally after you’ve done all your research and followed the relevant local accounts on Twitter to keep update whilst you stay in Stockport. Use the super friendly twitter lists tool to add all your favourite places to visit in Stockport in a twitter lists. And then hey presto – access them when you arrive in Stockport to see what special offers / news the local businesses have during your stay. ENJOY YOUR STAY IN STOCKPORT!